Berrylands Cattery & Pet Supplies is a friendly business run since Aug 2010 by a husband and wife team; we live on-site with our three cats, two budgies, eight goldfish and one daughter. 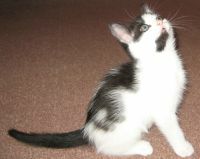 The cattery is licensed by Royal borough of Kingston upon Thames (licence no. AB003) and fully insured. so we can take time to show you around. We also board small animals and do local home visits and provide a pickup/dropoff service. We have a small pet supplies shop attached, so we have most foods available for the cattery. We do not buy or sell animals: we believe shop windows and display cages are not where they should be. We are situated in Berrylands, between Surbiton and Tolworth. We have planning permission from Kingston council to reduce the shop floor area and use the space for new cattery rooms. Please call during opening times or email info@berrylandscattery.co.uk for queries and bookings.